The “Grammy Nominees” is a series of compilation albums, with albums being released shortly before the airing of the annual Grammy Awards. In each case the compilation is made up of songs which have been nominated in some way for that years award ceremony. The compilations were started in 1995, and have been issued each year since that time. Other series have been attempted for rap and latin music, but those compilations have been discontinued at the time of the writing of this entry. 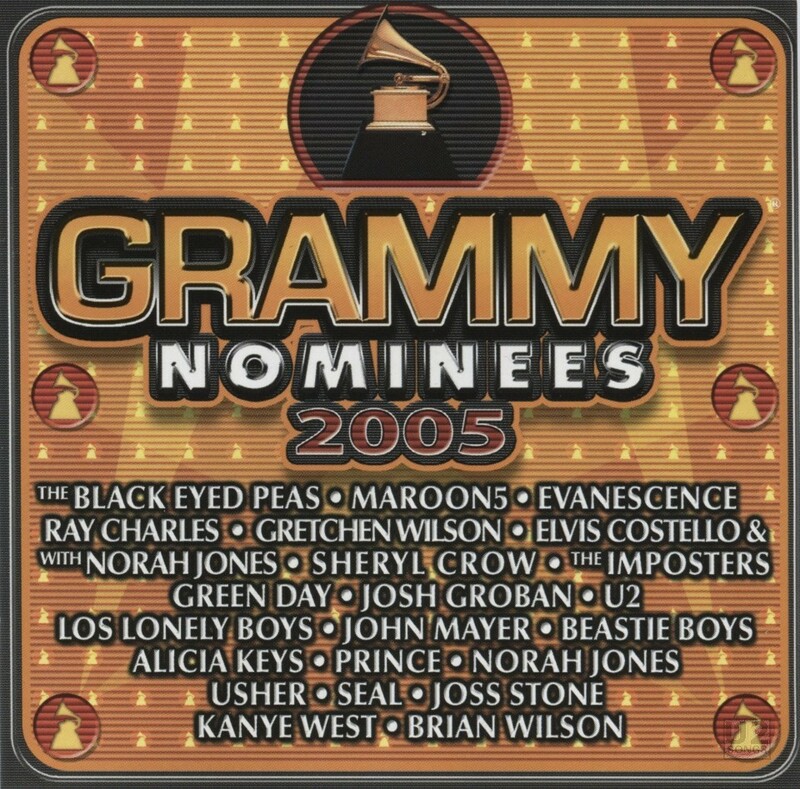 U2 appears on several of these compilations, starting with ““Grammy Nominees”, and including “Grammy Nominees 2002”, “Grammy Nominees 2005”, “Grammy Nominees 2006”, “Grammy Nominees 2008” and “Grammy Nominees 2010”. The 2005 compilation was the third time U2 appeared on these compilations, and the album was released January 25, 2001. The awards ceremony was held on February 13, 2005. U2 was nominated for “Best Rock Performance by a Duo or Group with Vocal” and for “Best Rock Song” for “Vertigo”. They were also nominated for “Best Short Form Music Video” for “Vertigo”. U2 won all three awards. It is “Vertigo” which is featured here on the compilation album.